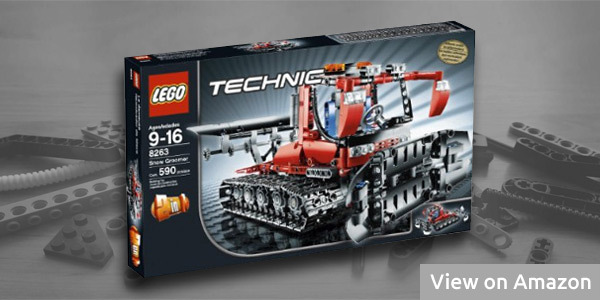 This Lego Technic set was released in 2009. It contains 590 pieces out of which most of them are red, gray and black. There are some special parts included in this set that are seen quite rarely. It also has a pretty big box and the instructions booklet has 75 pages. The dimensions of this model in a completed version are 14 inches (35.6 cm) x 6.5 inches (16.5 cm). The snow groomer has a nice front grille with headlights. The cab is built with new Lego panels. The front blade can be controlled with a joystick. It is a really interesting mechanism that connects the joystick and the blade. It also features movable wide tracks. The alternative model that can be built of this set is an all-weather arctic trucker. It looks really well, too. 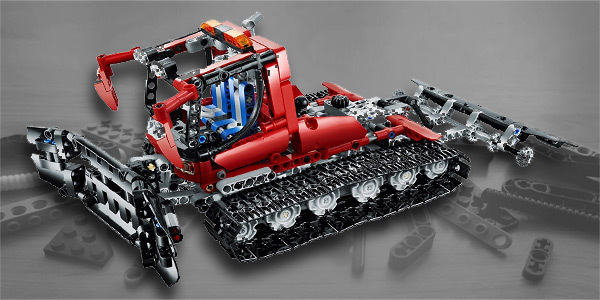 Considering both models that can be built with this Lego Technic set, it is a really nice set. At least in my opinion. It is something different than all the other Technic sets.